From the left hand sidebar, choose Events, then either "Upcoming" for active events, or "Past" for past events. According to your preferences, customize the list of events. From the right hand panel, select appropriate filters. There are many filters available. 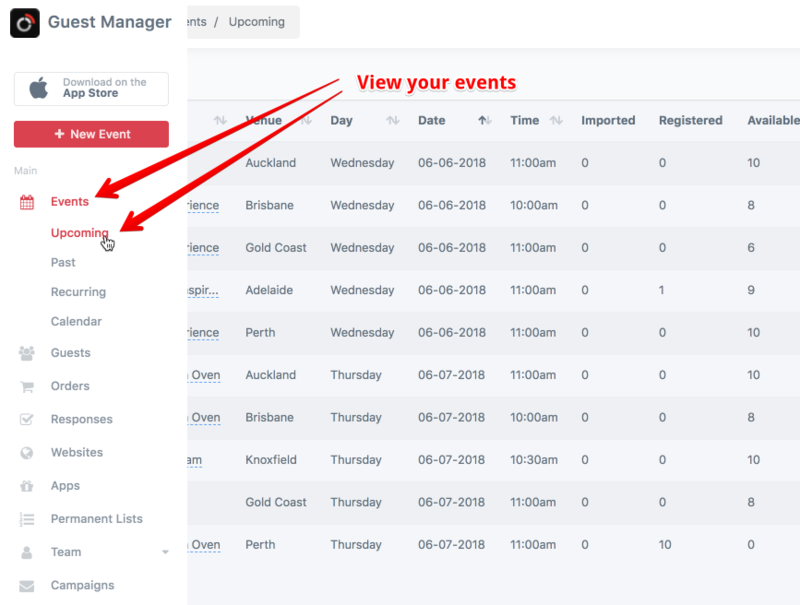 For example, to list all the events at a particular venue and recurring event, select the venue(s) from the "Venue" dropdown, and the appropriate recurring events from the "Recurring event" dropdown. Some columns can be sorted by. If the column can be sorted, you will see direction arrows next to the name of the column. Click it to toggle between ascending and descending order.